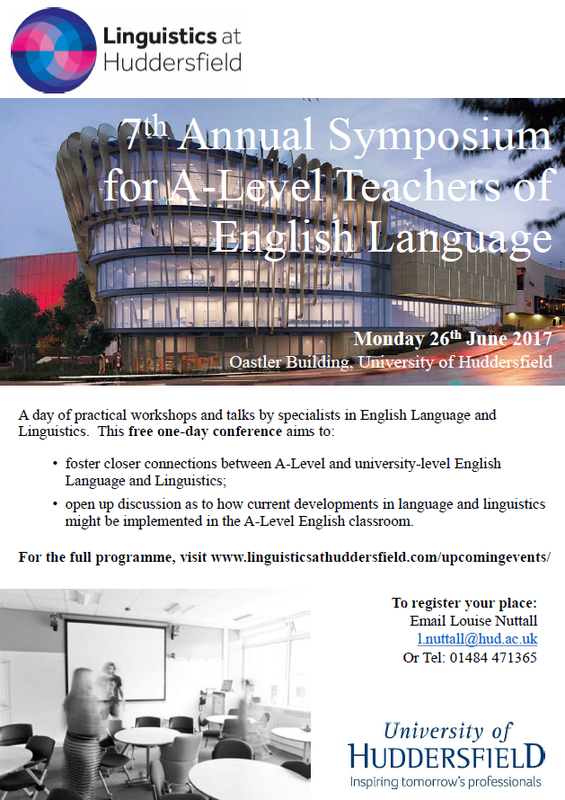 The department of Linguistics and Modern Languages at the University of Huddersfield hosted the 7th Annual Symposium for A-Level Teachers of English Language on Monday 26th June 2017, 9:00-16:00, in the new Oastler building on the main Queensgate campus in Huddersfield. The day included plenary talks by leading language specialists and practical workshops outlining new techniques of linguistic analysis. The full programme for the day can be found here. You can find out about future events by sending an email to l.nuttall@hud.ac.uk. Watch this space for details of the 2018 symposium.